Now it's your turn to experience the magic of breathing underwater and explore the beauties of the ocean flora and fauna hidden beneath the surface. SCUBA diving is one of Sydney's best kept secrets. Each weekend, thousands of divers don SCUBA equipment and head out to amazing dive spots, often located mere metres from Sydney's amazing beaches. Now it's your turn to experience the magic of breathing underwater and explore the beauties of the ocean flora and fauna hidden beneath the surface. In this Discover Scuba Diving course, fully qualified diving instructors train you on the basics required to go diving, all in the safety of a confined water environment. After your basic training you will progress to open water, all under the close supervision of your instructor. You can expect a 30-40 minute SCUBA dive, taking in the sights of Sydney's vibrant marine environment. The DSD course is a taster rather than a full SCUBA diving course. Your instructor will be please to explain your options if you want to become a fully fledged diver. - Pregnancy (pregnant woman are not permitted to dive). 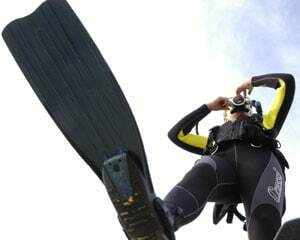 If you suffer from or have suffered from any of the above medical conditions OR If you suffer from any other medical conditions, including recent injuries, surgeries or psychological conditions then you will be required to obtain a fully completed medical clearance from your doctor prior to booking in for the dive (cost varies and is payable by you). You will be required to meet at the dive shop in Parramatta prior to the dive to get fitted for your SCUBA equipment. Both my friend and I had an incredible day, would definitely do it again! Was great value for money and a good experience with excellent staff. Highly recommended. Scuba for 2 is great value for money and a great introductory lesson.